December! It's here! 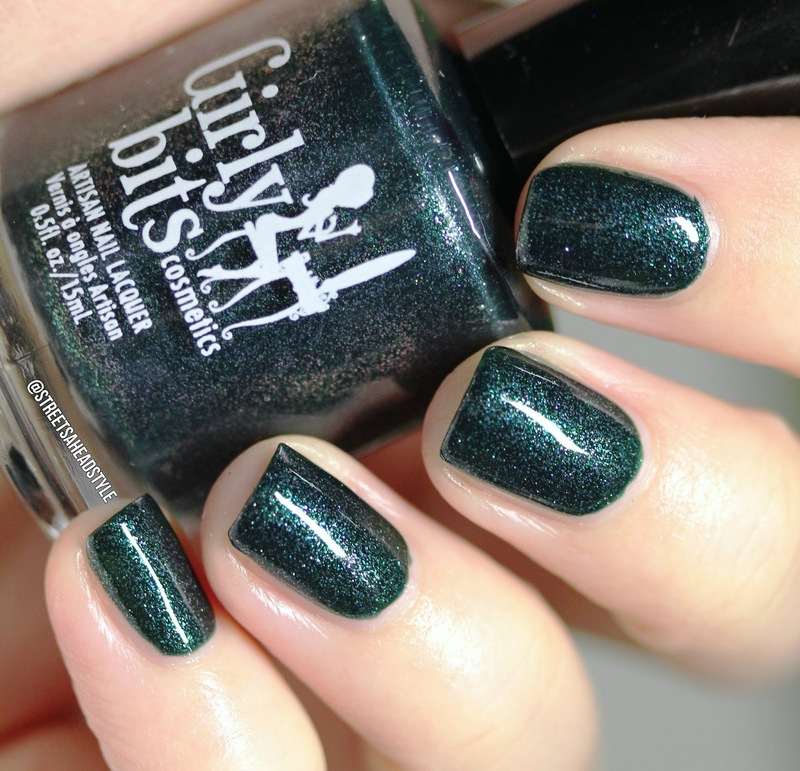 Are you ready for what Girly Bits has to offer for this month's Colors of the Month (aka CoTM)? I'm so excited and grateful to be able to share these beauties with you. They are available now until January 1 at 11:59 PM EST on the Girly Bits Cosmetics website. Both of these polishes are cruelty free, and vegan. 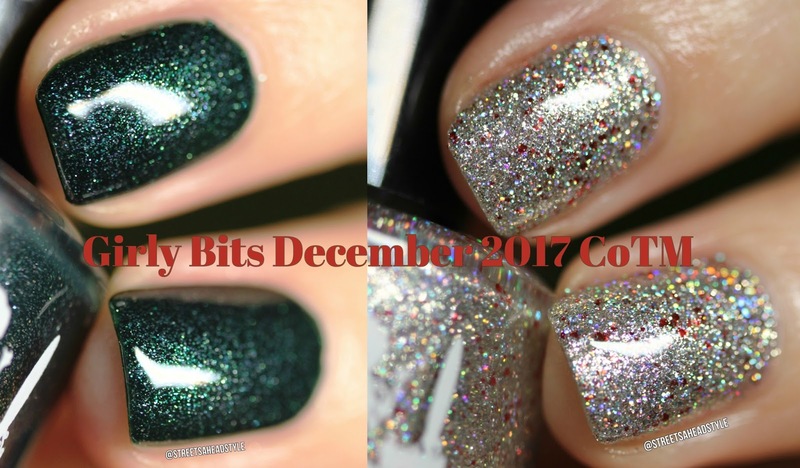 Girly Bits Fir Realz is described as a deep forest green jelly, with tiny silver metallic flakies, and a gorgeous shimmer. This polish is 4-free, vegan and cruelty free. 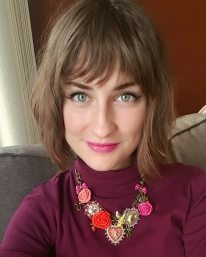 It is available for $16.50 CAD. I am wearing two coats plus top coat. This applies like butter and it looks even more beautiful on the nail than the bottle. I love how the little flakies look purple in some lights. They're really quite gorgeous. 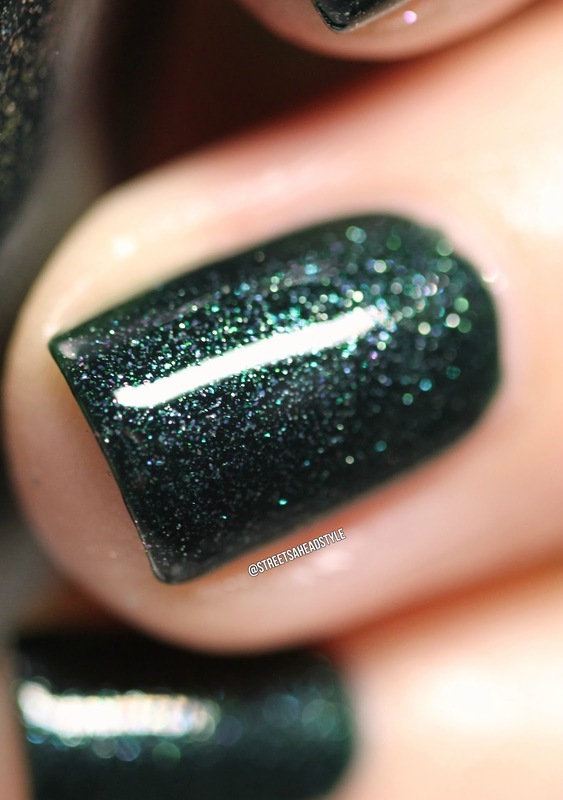 I had to wear this for a full manicure and it's on my nails as I type up this post! 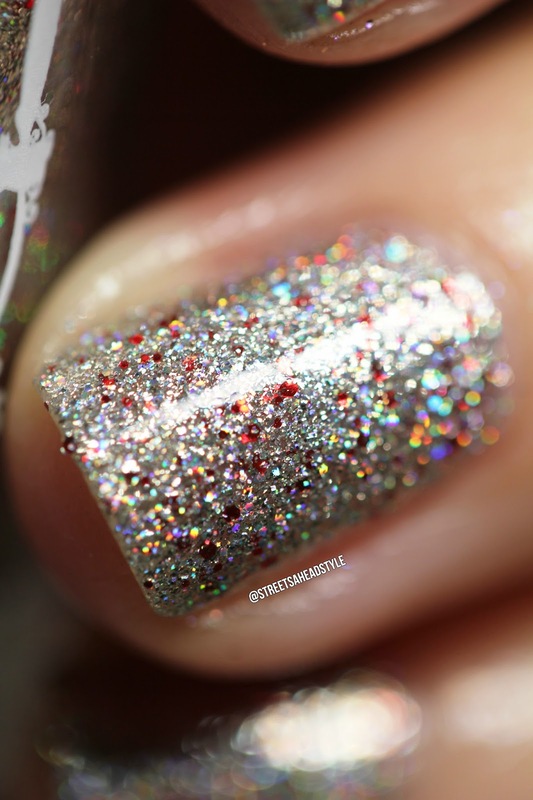 Girly Bits Slay Belle is super blingy and full of multiple types of silver holo pigments and silver holo glitter in a clear base, studded with fiery red metallic glitter! This polish is 4-free, vegan and cruelty free. It is available for $16.50 CAD. I am wearing three coats which is what Pam recommended to get the maximum bling effect. I could have gotten away with two because it builds up so well! I used one coat of Glitter Glaze top coat and that smoothed it out. I swear I see some golden shimmer in this which makes the silver look almost like it has a patina like vintage silver wear. So cool! So festive. The December Colour of the Month will be available for purchase from December 1st at 2pm EDT until January 1st at 11:59pm EDT.